When are we not actors in History? For THE EDGE, Malaysia; 6 March 2017. THERE IS something captivating about the generation of people in Malaysia and Singapore who were born in the decades before the Japanese occupation. The times had definitely been very uncertain throughout the region. The British colonialists were arguing among themselves about how the Southeast Asian territories over which they exercised de facto control were to be governed. Their own backyard of Europe had just undergone a horrific war that saw Britain and its allies losing a whole cohort of young men in the trenches, who would have been vital to the running of their world-spanning empire. And managing the peace after 1918—and before 1939—was becoming increasingly impossible. In essence, the world was learning that the world war of 1914-18 was not over. Technologies of war were developing in overwhelming fashion, alongside industrial innovations. Differentiating the two has never been easy—or possible. Tanks had come into use, as had chemical weapons. Man had also taken to the skies, for purposes of peace and of war. Ford’s Model T’s were being cloned at an impressive pace, and the assembly line was becoming the preferred mode of production throughout the world, nailing workers to the factory floor. The industrial revolution just would not end. The October Revolution that took place in Russia in 1917 had also ushered in a new era in human thought, in social organisation, and in global conflict. In East Asia, Japan’s fervent path towards modernisation, which started with the Meiji Restoration in 1868, saw the archipelagic country becoming increasingly aggressive on the Asian mainland. It had defeated the Chinese navy in 1895 and then the Russian army in 1905, and in the process had colonised Taiwan and Korea. Being among the victors in the First World War, it demanded and was granted control over Germany’s colonies in China. It was a matter of time before the special dynamics of Japan’s necessarily expansive modernization drive saw it challenging all other powers in the region. After taking Manchuria in 1931, its designs for the region became undeniable when it invaded China in 1937. Sanctions by western powers which denied Japan access to the resources in Southeast Asia saw it finally launching a coordinated attack in December 1945 eastwards on Pearl Harbour and southwards on the colonies of the French, the Americans, the Dutch and the British. 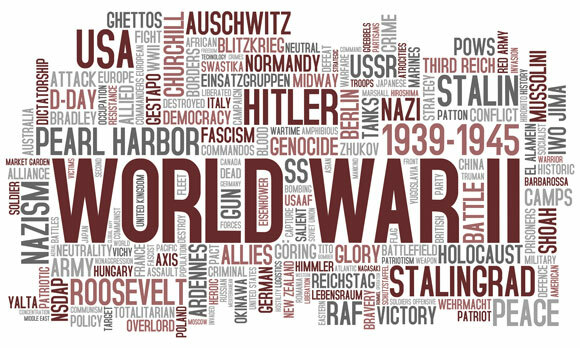 At the same time, the rise of Adolf Hitler’s Third Reich in the midst of the Great Depression of the 1930s left no one but the most naïve in doubt that war was on the way, and this time, it would in the true sense of the phrase, be a World War. To grow up in such a period, especially if one were educated enough and politically interested enough to understand the deep historical significance of the times, would leave one worrying and wondering how one’s own life is to fit into this global drama, and how one can make this global drama fit one’s life. With the world in free fall, the need for a young person to psychologically prepare himself or herself must have been quite overwhelming. How is one to handle the uncertainties of the times, to influence the new world, to go into open conflict with one’s peers who also feel the duties and the possibilities of the times, and have a good family life at the same time? And so, a generation of strong historical actors appears, determined each in his or her own way to influence the different society, country and world that was to come. They would have found it necessary very early in life to stay focused, and to dedicate themselves in a single-minded manner to achieving whatever they understand their potential to be. I do not wish to overstate the case, and would quickly like to add that the sense that one has been born to act potently in a world in transformation is something that is not exclusive to one generation. Every generation has members who feel the call of history. But in uncertain times, this phenomenon goes further and affects a larger percentage of the young population more deeply. Working on biographies of politicians from this generation, and studying the history of modern nation building in Asia, and being born in 1955 at the tail end of a global epoch, I have developed a fascination for the people who preceded the post-war baby boomers. The 1914-1942 generation does cast a shadow over the rest of us. But then it is the fault of us later generations that we, in force of will and in focus of ambition, cannot come close to their predecessors, let alone surpass them, in inspirational impact. So what seems to distinguish the earlier generation from the rest of us? If I am to give a short answer, it would be to say that it was the absence of detachment from history, their sense of being central actors in the drama of their times that was decisive. Uncertain times make history intrusive and relevant, not as an academic discipline, but as a present performance scripted by past events but yet not determined by them. This leaves me then to wonder why the default role for many other generations appears to be that of spectators and not as actors in the performance that is their own lives. Is this perhaps simply a direct reflection of the importance to the exercise of political power of diminishing as much as possible the sense of history, and of pro-activeness, in the populace? I have my suspicions.